This is the only permitted wild dolphin swim in New South Wales, the only swim of its kind in the world - and only a 2.5 hour drive north of Sydney! 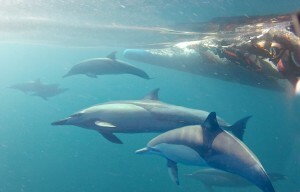 Come and be a part of the pod and witness TRUE dolphin behaviour! 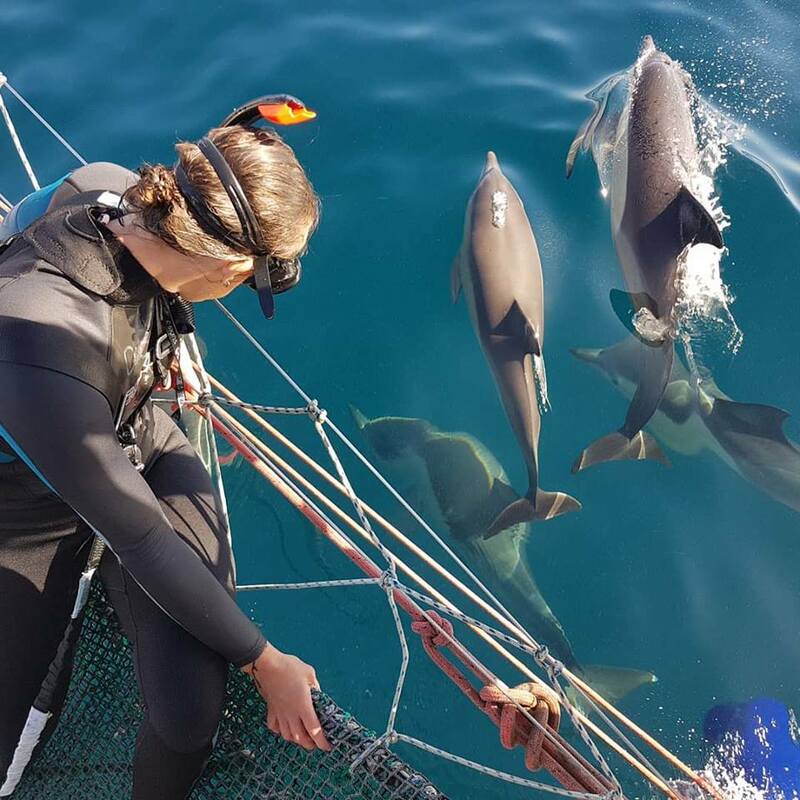 Six swim guests at a time are attached to a customised rope which is strung between the two bows of a 52' (15.8m) catamaran and towed through the water while inquisitive wild dolphins dart back and forth between the bows and within a couple of metres of the guests! 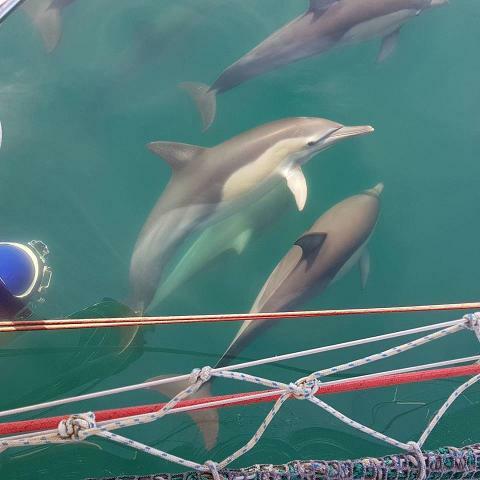 All wild dolphin swim tours leave from d'Albora Marina in Nelson Bay, Port Stephens, and take guests offshore to the beautiful waters of the Port Stephens-Great Lakes Marine Park, where the swims take place. 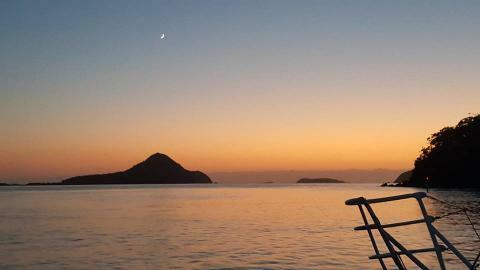 Why not make a weekend of it and witness more of stunning Port Stephens??!! With a variety of accommodation and other activities available, there is something to suit everyone! 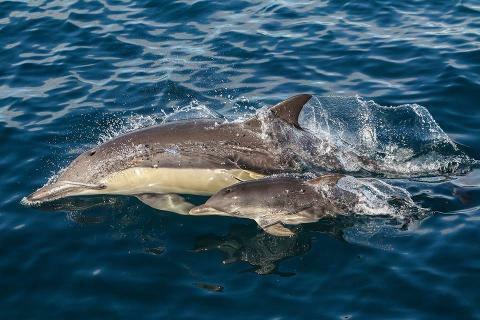 In Port Stephens, the 'Dolphin Capital' of Australia, you can swim with dolphins, take a dolphin watching cruise, take a whale watching cruise, scuba dive, parasail, do stand-up paddle boarding, jet ski, deep sea fish, sightsee, or just go for an ocean swim. If you love the water, there is no need to go anywhere else! There are also many other activities, such as sand boarding, quadbiking, camel riding and much, much more! 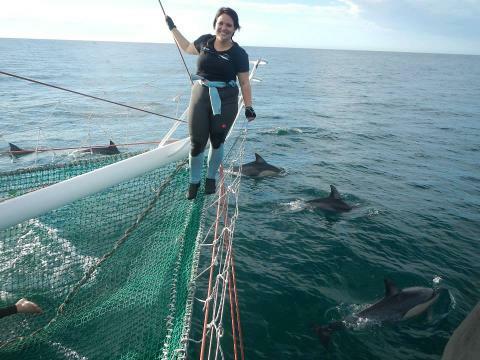 Come and join us for a wild dolphin swim and have the experience of a lifetime! 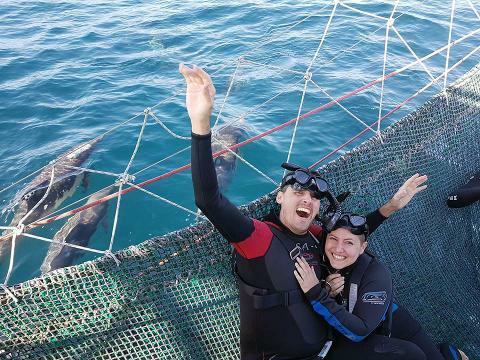 Included: Wetsuit, mask, snorkel, safety harness, light breakfast, 4 hour cruise, educational commentary and complimentary above-water photos which are later uploaded to the Dolphin Swim Australia Facebook page and are available for guests to copy or share. * Tours operate regularly on Thursdays, Fridays, Saturdays and Sundays, with extra tours running during NSW school holiday periods and also available for private charter. Tours must reach a minimum number of swimmers to operate. Tours will NOT operate in unsafe conditions.